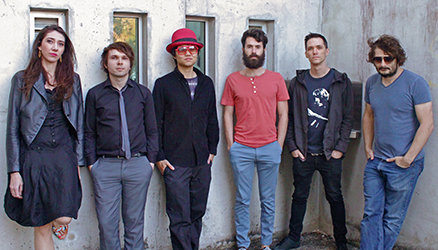 Developing from an earlier project called Purity Device, Ektoise were active from roughly 2010 to 2013, comprising Greg Reason, Jim Grundy, Scott Claremont, Hik Sugimoto, Greta Kelly and Tim Fairless. Utilising guitars, synths, violin and percussion, they’re in essence a band, but while their music is clearly rooted in elements of rock and jazz, it transcends both due to a constant air of experimentation, heavy implementation of electronics as well as a distinct tendency towards the avant-garde. The way these jostling creative impulses coalesce on their self-titled debut album from 2010 initially gives the impression that it’s going to draw comparisons with Downward Spiral-era Nine Inch Nails (sans vocals). The combination of intense beats, gritty electronics and guitar riffs in opening track ‘Rivers of Enkephalin’ is redolent of NIN’s ‘The Art of Self Destruction, Part One’, a sense only reinforced later when highly rapid guitarwork instantly brings to mind Adrian Belew’s contribution to NIN’s ‘Mr Self Destruct’. Yet ‘Rivers of Enkephalin’ isn’t in any way derivative, and in any case it’s something of a red herring considering what the rest of the album is like. ‘Euclidean Curve’ is an exercise in similarly muscular electronic rock, but opening in a place of Vangelis-like plantive synth lines and with bands of ethereal light permeating it at various points. It’s a nicely effective mixture, serving to give its beats a lot more punch. But there are plenty of occasions when the impression of Ektoise as a band is entirely lost. ‘Vovchanchyn’ inhabits a gritty, detailed, dark ambient environment, with something akin to a pulse underneath but manifested as distant reverberant metallic sounds that defy regularity. It’s not so much ominous as unsettlingly present, encroaching closer and closer, later becoming strewn with noise and oscillating synth strands. ‘On the Transformation of Romance into Guilt’ is similar, built upon a deep bass drone with an extensive network of elements that writhe around at surface level. Over four minutes it accumulates more and more around it until finally erupting at speed, though its beats are so encrusted as to be almost unrecognisable. This track holds back from becoming a full-on onslaught but ‘Synaptic Modulation’, which follows, goes further, beginning in medias res, as if entirely smothered by a tonnage of superimposed sonic strata. Yet even here, despite the music’s ferocity and the quantity, density and intensity of all those layers, its details remain clear and vivid, and even retain an overall attractive sheen. A word like ‘sheen’ implies something superficial, but it’s worth stressing that it’s more significant than that; in almost all of Ektoise’s music there’s something akin to the gloss on a photograph, making their soundworlds more vivid and dramatic. Gentler climes are explored in ‘Miasma’, founded upon a repeating guitar idea that quickly develops into a robust kind of rock-passacaglia, and closing track ‘The Thought Police’, a quasi-static, warm ambient piece underpinned by slow oscillations and with occasional glimpses of a woman’s voice. In hindsight, it gives the impression of music that was only just holding itself together, an equilibrium that’s rudely exploded towards the end when it fragments into broken-up glitches and bursts of electronic detritus. All of these are impressive enough, but some of the tracks deserve special mention. ‘The Great Perpendicular Path’ (which begins as the aftermath of ‘Synaptic Modulation’ – there’s a strong sense of track-to-track continuity on the album) is a glorious essay in dronal ecstasy, focused and positively radiant, not so much fading later as simply moving out into the aether. ‘Tsaparang’ injects a large dose of doomjazz into the proceedings; not unlike the shadow-strewn improvisational forays of The Mount Fuji Doomjazz Corporation (which is no small compliment), it features a sax making a seemingly perilous journey through an oppressive, claustrophobic landscape that’s in a constant state of flux. The fact that ‘Tsaparang’ is the only track on Ektoise to explore this kind of soundworld suggests it to be something of an experiment, yet it’s utterly convincing, and among the best doomjazz i’ve encountered. But i think ‘Active Denial System’ is the brightest highlight here, simply because it’s the most adventurous, passing from a vague slowly-building texture to a dense rock-infused tutti, evolving into a cross between avant-jazz and electronica. 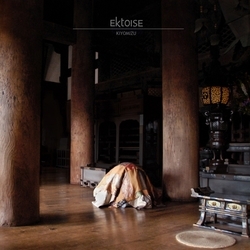 Ektoise is an enormously impressive debut album, one that takes their earlier experiments (as Purity Device) and distills them to a point of exquisite refinement, showcasing (even showing off) the group’s considerable diversity of creative impulses and directions. To say that their follow-up album Kiyomizu, released the following year (and one of my best albums of 2011), lives up to Ektoise is to put it mildly. The key area of development, it seems to me, is in its greater integration of the group’s multiplicity of stylistic leanings into a more coherent, unified aesthetic. An obvious way this manifests is in the structure of their music: rock – now largely sublimated into shoegaze – is used to set up cycling harmonic sequences, which yield to, dissolve or disperse into more gaseous clouds of drifting ambience. The first three tracks all undergo this kind of thing: ‘The Shoreline by Morning’ (one of the most delicious album openers ever) takes an eight-chord progression from being delicate and blissed-out to an extended shoegaze plateau before pulling back into a spent but elated floating coda. ‘Subquanta’ gets there via more conventional rock trappings that are abruptly halted by a vague electronic texture, whereas ‘Kuroi Kami’ opts for more heavyweight dronal rock that similarly dissipates abruptly at the end into soft burblings. These are simple examples, but ‘Square Peg’ is more complex. Following a tension of rock overtures crossed with bands of noise and electronics, it arrives at a full-blown outburst of shoegazing euphoria, only to be cancelled out by a wild saxophone solo that seems to be catalytic; when the shoegaze restarts, it’s not only different from before but accretes more and more noise around it, becoming lost in a chaotic fuzz of raw sonic stuff. Elsewhere the music is very much more far-reaching in its vision. ‘Venerandum’ features a beautiful, amorphous, hovering soundworld that bears a resemblance to mid-70s Krautrock and ambient music, flirting with but never quite committing to beats at various points, with some non-sequiturs and false endings thrown in for good measure. ‘The Golden Bough’ – one of Ektoise’s greatest tracks – eschews beats completely, avoiding anything obvious to propel the music forward. It grows and builds slowly and methodically, like a large drifting ball of organic matter undergoing processes of development and maturity. The whole time it appears to be giving off increasingly bright light, to the point where it becomes massive and overwhelming, yet unutterably lovely. ‘State Vector Collapse’ positions loud electronic bursts and percussive glitchiness into the foreground, surrounded in the distance by soft ambient vapours. This duality is used to establish a twin-layer environment that’s occasionally interrupted with episodes of repose, when everything in the foreground abruptly vanishes for a time, leaving everything hanging as if transfixed with wonder. 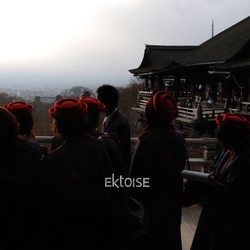 The most telling tracks on Kiyomizu extend further the searching, post-apocalyptic avant-jazz leanings only hinted at on Ektoise. ‘There and Here’ sets up a wan, doom-laden improvisational space, coats it in incongruous electronic blip-beats, gear-shifts it into heavier jazz rock, pulls it back into a kind of hauntological artefact, and finally arrives in a place of queasily-wavering suspended pitches. At no point does the musical development put a foot wrong, yet how on earth we got from A to B is brilliantly hard to fathom. Final track ‘Down River’ is arguably their weirdest track: it begins in an even more catastrophically-destroyed but gorgeous soundworld, with a slow cycling bassline flecked with brief metallic clangs. Pregnant, ominous and portentous, it’s one of the greatest openings you’ll ever hear, yet it then defies all expectations by reducing to a soft ticking-over, and then ushering in a massively extended (around 10-minute) drifting ambient episode that rather loses the momentum and excitement created at the start. My guess is the aim was that this long episode would tap into the same kind of ecstasy as occurs elsewhere in their work, and would thereby perhaps retain or even transcend the enormous potency of the opening. In practice, it doesn’t quite work, though when grungy beats erupt a mere 90 seconds before the end, it’s a genuinely amazing moment. But for me, the most exhilarating track on Kiyomizu is altogether more simple, maybe even the simplest on the album. ‘Dissolved’ is a lovely, leisurely electronic rock track, its basic progression broken up and expanded with nice episodes of more roaming harmony. It’s not particularly experimental, certainly not avant-garde, but it’s enormously immediate and accomplished, and it positively gleams with that same glossy sheen that makes their music so incredibly vibrant. The moment when the intro ends and the main sequence starts – 24 seconds in – tingles my spine every single time i hear it. Both Ektoise and Kiyomizu are available as free downloads from the group’s Bandcamp site, where you’ll also find a number of other things, all free. i would single out the Down River EP (2012), which provides four remixes of that track. The first focuses on its amazing opening, making the slowly cycling bass sound wonderfully coiled up and tense, whereas ‘Mangroves’ is more like a variation than a remix, the bass now undulating below an assortment of distinct elements acting in harmonic sympathy yet disconnected from it. Utterly marvellous. Beyond this, be sure to check out Distortions, a more in-depth and superbly aggressive collection of remixes of the tracks on Kiyomizu, and the singles The Flyers’ Mind and Refractions are also well worth spending time with, the former a brooding dark ambient piece but which is more about ambience than darkness, the latter an immersive dronal improvisation. But everything you’ll find there is excellent, so i’d recommend simply working your way through the entire lot. 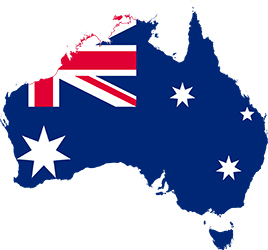 Yet another “complimentary” delight, Simon – if you’ll excuse the pun, this series of posts looks like it’s going to be another invaluable one! Chris, i’ve always just assumed it to be “Ek-toys”, as there’s nothing at all in their work that suggests the French pronunciation. But i’ll ask Greg Reason the next time i talk to him!